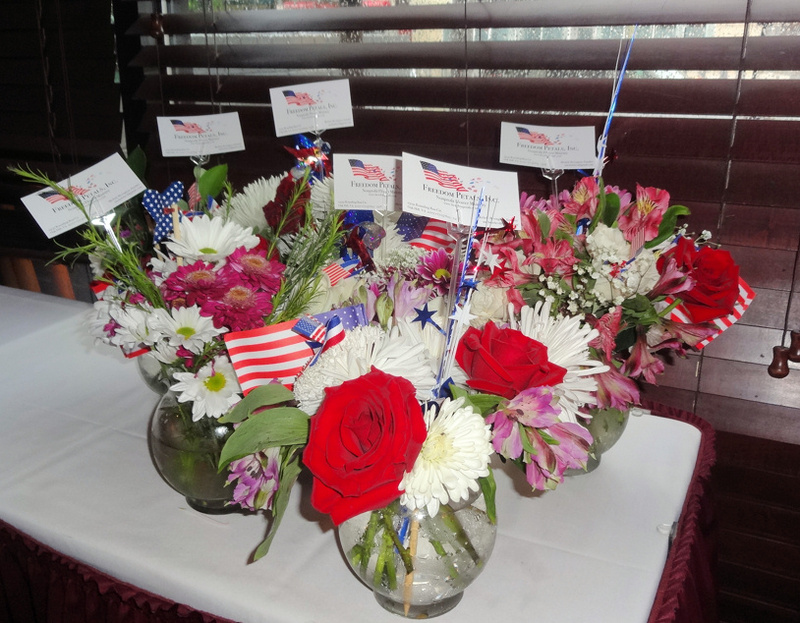 The Freedom Petals volunteers truly out did themselves creating beautiful mugs and flower arrangements for the 8 January Aleethia Dinner. The holiday and floral mugs were so festive sitting that on the small tables at the Tesoro Restaurant in Washington D.C. Every family or wounded warrior got to take home an arrangement and the joy filled the room. This was the first dinner of the new year 2016. There was a positive energy in the room of families looking forward to healing and looking forward to going home. There was a lot of laughter and sharing of stories. The flowers always bring so many smiles and happiness to the dinners. Below is an email I received today expressing gratitude for what Freedom Petals brings to our wounded warriors through our beautiful flowers. This says it all!